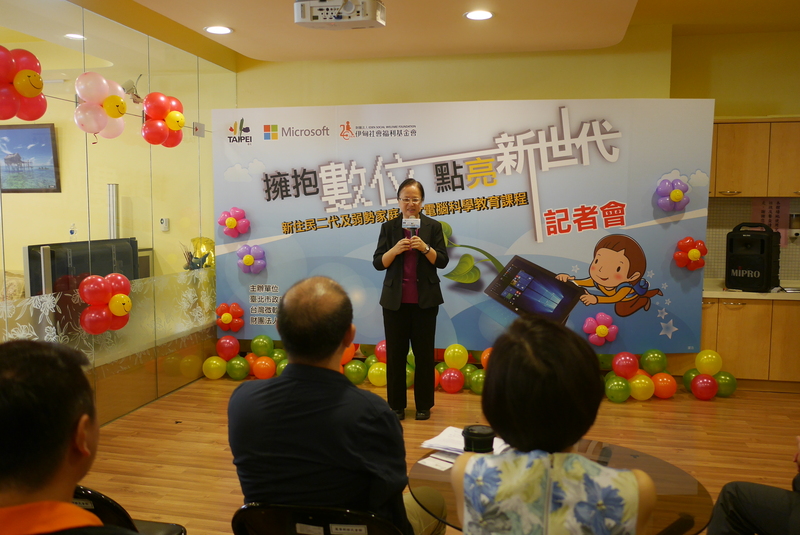 Taipei City Department of Civil Affairs hosted a press conference regarding the computer science classes for second generation new immigrants and children from disadvantaged families at Wanhua New Immigrants’ Hall on May 23, 2016. 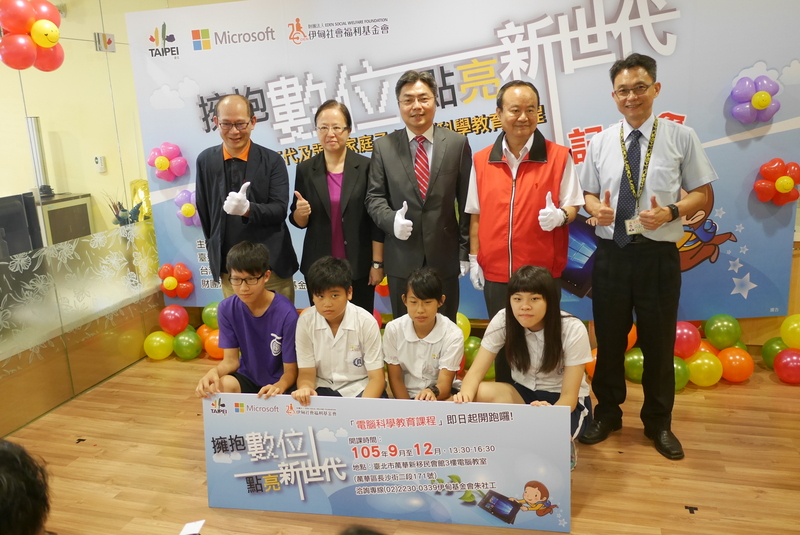 The classes are co-organized by the Taipei City Government, Eden Social Welfare, and Microsoft Taiwan. 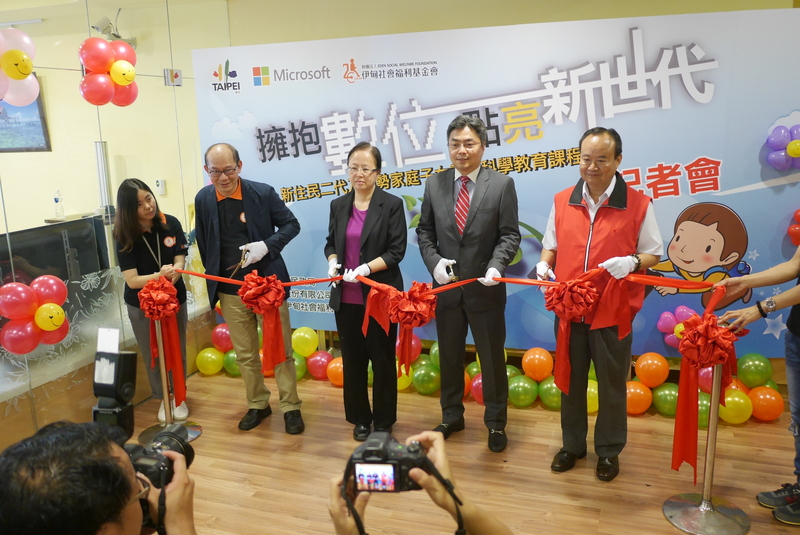 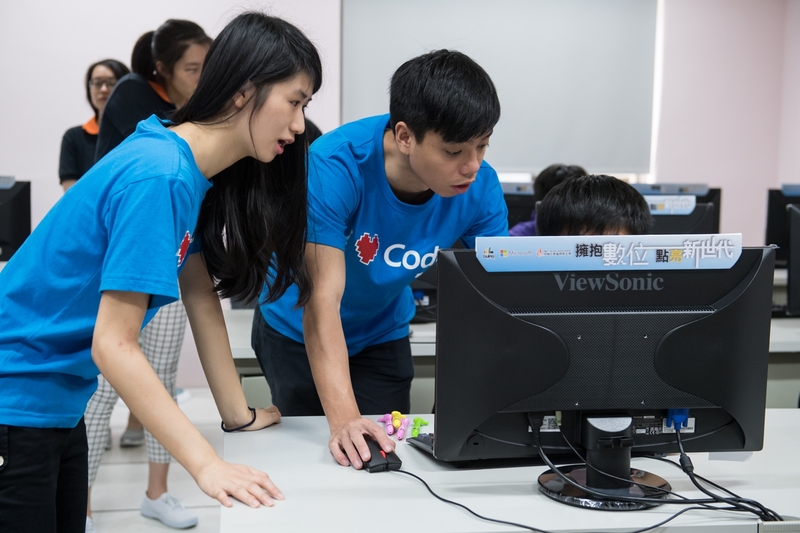 Microsoft provided 32 computers, software, and teachers; Wanhua New Immigrants’ Hall provided a classroom for the computer classes; and Eden Social Welfare assisted with student recruitment. 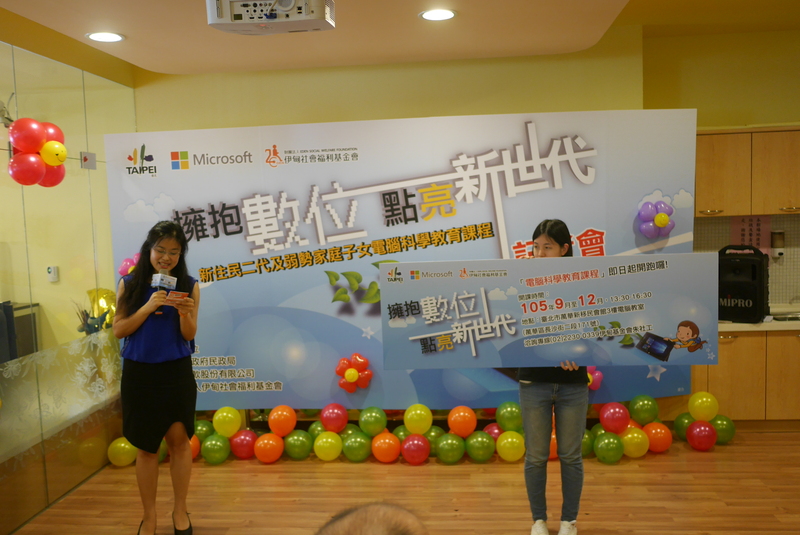 At the press conference, students of Ximen Elementary School were invited to experience Sway software to learn about interactive presentation and to exhibit the results.